Rob is a student interested in the health and education departments' inner workings, enough to do research into their systems in his free time. I feel like a dying breed. A dinosaur, if you will. At the outset of my studies I knew this and I still think about it occasionally, still wonder if I made the right decision at the naïve age of 17. I’m talking of course about my name. Specifically, what’s going to appear after it in just a few years’ time — MBBS. That cultural UK tradition drawn from the fusion of Physicians (Bachelors of Medicine) and Surgeons (Bachelors of Surgery), who at some point decided it was all the same stuff, and that MBBS was more attractive than BM, BS. In Australia, and in my university, we’re seeing a relatively new kid on the block — the Doctor of Medicine (typically MD). The roots of this seem to come from across the pond, where at some stage Americans decided to silently disagree once again with the conventions of England. In fact, I am the last cohort of MBBS in my university – many of the students below my year boast their superior would-be qualification, and I’ve heard it time and again from universities that already have it. But is MD a new degree, or just a new name? Is this really a new breed of Doc that will one day uniformly scoff at me, a dinosaur from the age of MBBS? I set about this question in a number of ways. There are the facts and figures, the institutional requirements that fall under the Australian Qualifications Framework (AQF) and the Australian Medical Council. And then there are the perceptions — much more difficult to grasp, but no less important for a degree so public as medicine, where your qualifications guide your job opportunities, your patient trust, and ultimately the ability to help people. So to the facts. The AQF guides the ability of universities and other tertiary providers to name programs. This is a 10-step ladder, available in an interactive website provided by the AQF . It runs from Level 1 – a Certificate 1, through to Level 10 – a PhD. In Australia, universities are self-accrediting higher education providers, and are overseen by the Tertiary Education Quality and Standards Agency, a Commonwealth Government department. Although I can’t admit to knowing the exact process of application and oversight, the simple fact remains: In Australia, your primary medical degree can be Level 7, Level 8 or Level 9. “Graduates at this level will have broad and coherent knowledge and skills for professional work and/or further learning” . That seems pretty good to me. Medicine is a profession that I want work in, and I’m very open to further learning – such as a specialty or a research higher degree. “Graduates at this level will have specialised knowledge and skills for research, and/or professional practice and/or further learning” . This doesn’t seem to mean much to me as a medical student. Surely “specialised knowledge” is gained in postgraduate vocational training, as per the system of Australian Specialist Medical Colleges, in turn overseen by the Confederation of Postgraduate Medical Councils and the AMC ? And in terms of research, does that mean I can’t complete useful medical research, with my measly BSc/MBBS? Maybe the Australian Medical Council could straighten things out for me, and tell me how much I’m worth. 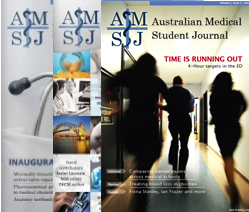 The AMC is ultimately responsible for the training of all medical students and doctors in Australia, as dictated by the Medical Board of Australia . This is a huge responsibility – and with medicine changing more and more rapidly over the past 50 years, it’s impressive that they could keep up! In fact, there is no difference in the AMC accreditation level of university medical graduates. Quite the opposite – the AMC regards all medical students as having had a comparable experience in medical school to make them safe enough for an Australian internship. For the University of Melbourne, the first university to offer the MD in Australia, there was a re-accreditation process with the AMC before the degree could be offered . Likewise, the University of Western Australia overhauled their program, entirely changing the number of years of medical school . But every other medical school in Australia that has switched or is considering switching has not required extensive re-accreditation beyond the normal requirements that exist year-to-year . On the ground, what is this meaning for students? Are students becoming better doctors and better scholars, or are they not? My personal feeling is the latter. I have peer-tutored at my university for the year below me, and they do not seem to be a new breed at all. Like me, they wish they started cramming a week earlier with each coming semester. Like me, they whinge when the School makes small program changes that they don’t agree with, or schedules lectures that they think are useless. Like me, they attend Evidence-Based Medicine with a somewhat silent resentment, not because it’s not important but because it’s not exciting. The School has made some changes; I suppose to be in line with AQF standards. All MD students at my university now write a research protocol – as I understand it, a report on how they might do some research. It’s not revolutionary, it’s not PhD-worthy, and in fact, it’s a lot less than the research required to get an Honours in my current program. But more than all the facts and figures, I do care about the perceptions. I do wonder if a patient one day will take a look at my name-tag and ask me what an MBBS is, and why they’re not being seen by a real doctor. I wonder if the applications office at RACP or RACS will one day look at my name and think less of me. I wonder if I should have chosen to be the last of the MBBS cohort at my university, or done an extra year of science and slipped into the first MD class. These are worries that can’t easily be put to rest – especially when my juniors already think themselves superior in some way. As though somehow, their research protocol made them able to pick the diagnosis when I would have missed it. Many students at my university are from overseas, and eventually become fully registered doctors in countries like the US. There, MBBS means nothing, and MD sits in a strange qualifications level that we don’t have in Australia. In many states of America, you can, for a nominal fee, apply to legally change from MBBS to MD after your name, and many of my colleagues will do so . This may be a potential solution to my worries down the track, should they ever really arise. I decided at the end of the day, that MD is much more about business than health. It was attractive for the University of Melbourne to pioneer a new name, and now each new medical school that “gets the MD” can call themselves on par once again. Unfortunately, the restrictions for Domestic Full-Fee Places in universities do not apply to postgraduate courses such as Masters, which legitimately poses a financial threat to new students, and added strain to the internship crisis . For now, I’m content in the hope that most people don’t care what’s in a name. A medical degree by any other name would doctor just as well. And after all, the Australian National University now provides their students an MChD and nobody seems to complain ! The Australian Medical Students’ Association (AMSA) for inviting me to present policy related to this topic.